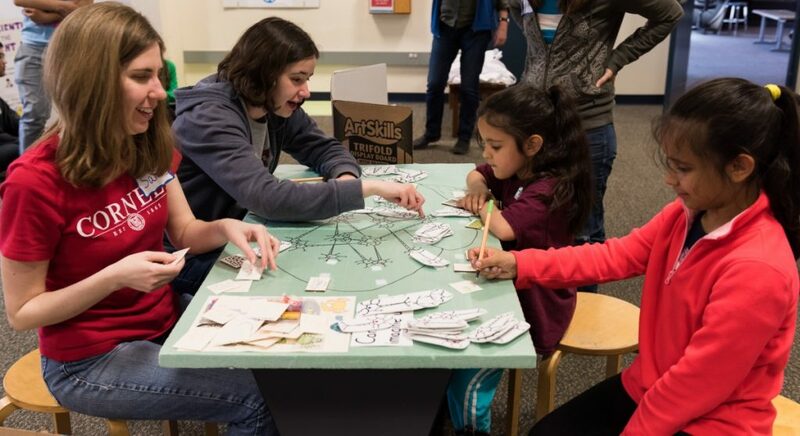 As part of a course supported by an Engaged Cornell grant, Caitlyn learned to use best practices in science outreach and develop displays that excite children in basic science. The course goal is to produce one or two polished exhibit ideas the Sciencenter can use. “I was surprised at how hard it actually is to create a functional science exhibit that successfully engages audiences,” – Caitlyn Finton. Read more about it in the article published by the Cornell Chronicle or at the Arts and Sciences Communications page.